Silex Technology is a member of the Wi-Fi Alliance and it follows the naming conventions. This will help our customers to easily understand the Wi-Fi generation supported by their device and to sort through technical features to choose the technology they want. 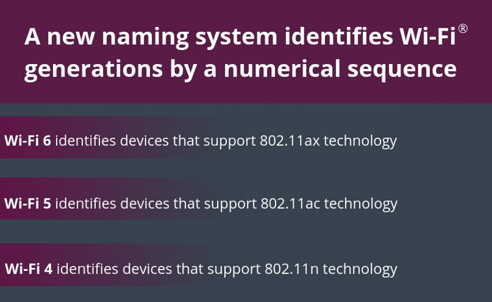 Currently we have not released a Wi-Fi 6 (802.11ax) product, but some of the other products that will fall under the new naming conventions are as follows. Learn more about Silex's products or contact us at sales@silexamerica.com for your inquiries.